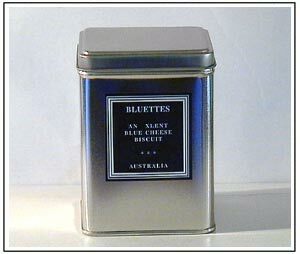 For those who love cheeses of the blue variety, I use a Danish style from a Victorian maker. It seems to take on an intense but sweet flavour with some chili in the flour and butter mix for that extra kick. They are delicious with red wine.